I’m excited that Ann Arbor will soon be hosting two notable theatrical imports with British origins. 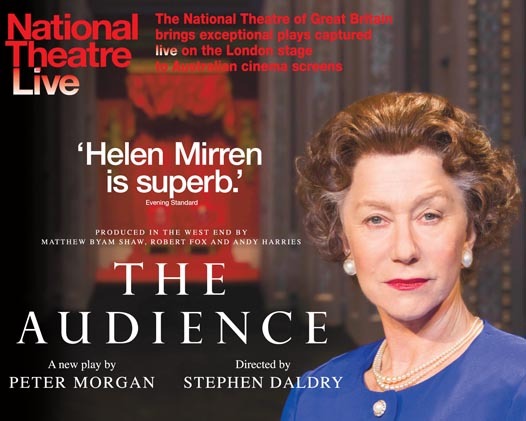 The first, a cinema screening of the new play The Audience, plays tonight and Tuesday evening at the Michigan Theatre. I’m unsure exactly when the presentation was recorded – at some point in the last few months – but it’s another installment in the “NT Live” theatre in movie theaters series, which I’ve written about before and have been a loyal semi-regular patron of since 2009. And, of course, it takes me back to my many visits to the National Theatre itself between 2004 and 2007. This installment features Helen Mirren reprising the Queen Elizabeth II role she previously played to acclaim in The Queen 2006 film. In fact, Mirren is currently the only actress to portray both Queen Elizabeths on film. 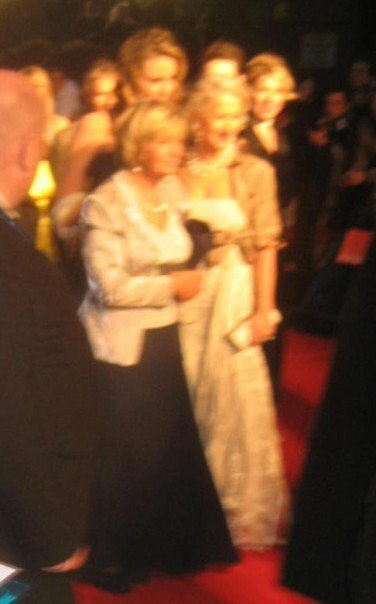 And writing about this reminds me of my close encounter with her at the BAFTA Awards in 2007 in London, as seen in the picture I took, displayed below. The second event will see a noted London ensemble company, Complicite, visit the University of Michigan for a short residency. I’m looking forward to seeing what they have to offer, especially where (coincidentally) I saw a previous Japanese themed piece of theirs almost exactly nine years ago (?!) at London’s Barbican Centre. Posted on September 8, 2013, in Theatre and tagged complicite, helen mirren, london, national theatre, simon mcburney. Bookmark the permalink. Leave a comment.